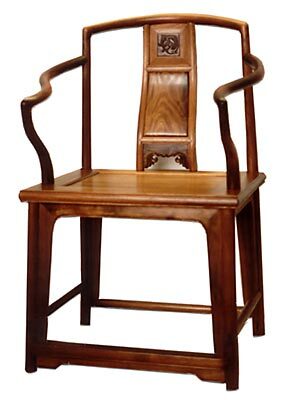 Identical to the Summer Palace (Beijing) example, this chair highlights the delicate design to bring out the clean flowing lines. Joinery is complicated by the panelled S-curved back splat. The upper most panel, frames a relief carving of a hornless dragon in Gutta Percha wood. The middle section is flush with the frame for comfort and the bottom section is carved Gutta Percha in the cloud form with scrolled grass.